I Am Not Broken. I Am An Adoptee. Note: This post may be difficult for birth parents to read. 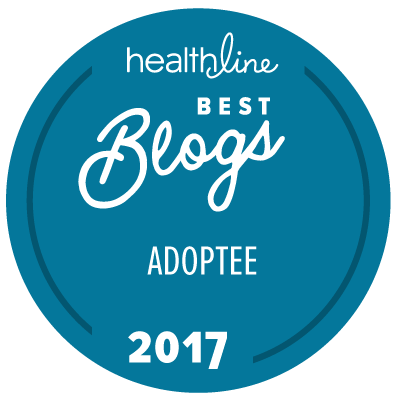 I have had a number of interactions with adoption professionals, adoptive parents, and other adoptees in the past 6 years, but especially since starting this blog earlier this year. A majority of these interactions have been very positive and I have often found myself walking away with a renewed faith in adoption and the wonderful things it has to offer. The interactions that have left me with mixed emotions have involved those who don’t seem to fully understand the need for adoptees to grieve their losses, and expect us to “get over it” or to just be grateful that we have families. Don’t get me wrong. I absolutely love my family and I feel so incredibly blessed to have them in my life. But, when I think about my life prior to my adoption, a range of emotions consume me. I feel pain, anger, hatred, and most of all, sadness. I was left in a subway station—abandoned and seemingly thrown away like somebody’s trash. Had I been left with a name or a birthdate, things may have been different. I believe that having the knowledge of something—that I was somebody to someone—would have made my abandonment a little less painful. But, my birth parents chose to leave me with nothing. I was a child without a name…without a birthdate…I was nobody. Well-meaning people often try to tell me how much my birth parents loved me. I understand and appreciate the sentiments behind their words—I really do. But, rather than making me feel better about my situation, I have found that it actually makes me feel worse. Ever since I can remember, I have imagined every possible scenario of my life prior to my adoption. I have imagined myself with loving birth parents with no other choice than to abandon me and hope for the best. I have imagined myself with abusive birth parents who threw me away because they never wanted me in the first place. I have imagined my birth parents dying and their family abandoning me because they couldn’t care for me. Regardless of the scenario, they all end with my being abandoned. I have a right to feel abandoned, because I WAS abandoned. I have a right to feel pain because the people who brought me into this world chose not to parent me. I have a right to feel anger and hatred for the people who were supposed to love me and always be there for me and ultimately decided to abandon me. I have a right to feel sadness. I have a right to grieve the loss of a life and a family that will never be mine. It’s difficult for me to hear that my birth parents loved me. I don’t know that to be true, so how could anyone else possibly know? It is one thing for a birth parent to choose adoption for their child and go through a child welfare organization to do so, but I have to admit that I have always felt some resentment towards my birth parents for abandoning me in a random location—not knowing who would find me or where I would end up. For me, it’s easier to believe that my birth parents didn’t want me, because it allows me a sense of closure. I have no desire to know someone who didn’t want me. Believing that my birth parents loved me is just too painful for me to bear. It’s too painful to imagine someone out there loving me—someone out there whom I will never know. I know I look like someone, and I know my laugh sounds like someone else’s laugh. I know someone out there has a piece of my heart that I will never get back. I will live my life with questions that will remain unanswered, and I will forever mourn the loss of a complete stranger who made the decision not to know me all those years ago. Sharing my story has been extremely cathartic for me. I have also been empowered by the realization that my voice matters and is actually helping others. But, I also realize that well-meaning people often have the urge to fix things and make things better. I get it. I tend to be a “fixer”, as well. Through my volunteer work of providing crisis counseling and advocacy to victims and survivors of sexual violence, I have discovered the art of listening. I have learned that the moments in which nobody says a word can be just as powerful and therapeutic as those moments in which words of understanding, support, empowerment, and validation are shared. I feel it is important for people to know that I am an adoptee, but I am not broken. Adoptees don’t need fixing—they need understanding. 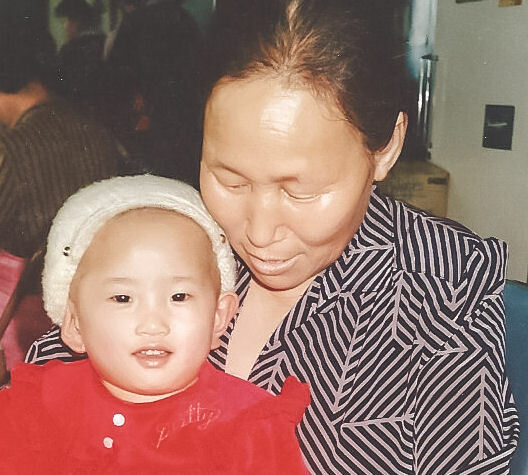 Trying to explain away an adoptee’s pain may help you feel better about the situation, but it minimizes the very experiences that have shaped our lives. We need to unapologetically be allowed to feel our pain, our sadness, our anger, and our grief. Many of us don’t need or want pity. We need the support of people who will allow us to sit with our pain without trying to mask it or minimize it or make it go away. The ability to acknowledge and confront our pain is essential to the healing process. We need to be able to feel our pain and heal in our own time. Please don’t ask us to “get over it”, because it’s not that simple and the healing process doesn’t work that way. Rather, please consider offering us your listening ear, your support, your validation, and your understanding. In doing so, you will make more of a difference than you will ever know.